Waterways is an Ann Arbor neighborhood with a great location and gorgeous setting, the neighborhood has sidewalks and mature woods, and animal sightings are quite frequent as well. There are currently 4 homes for sale and so far this year, 3 have sold. $465,000. 5432 Waterfield Ct., Ann Arbor. 2492 square feet with 4 bedrooms and 2.1 baths. 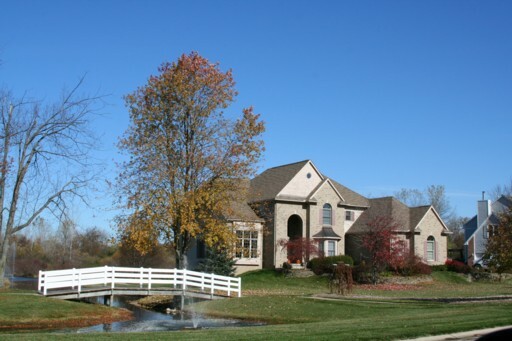 Waterways Subdivision, Ann Arbor is a luxurious neighborhood of fine homes on larger lots, many with wooded or pond views. Homes have an Ann Arbor mailing address, but children attend Saline Schools, so many refer to it as a Saline Subdivision. There are currently 2 homes listed for sale and in 2011, 2 homes sold. $439,900. 3589 sq. ft. +1202 in finished lower level, 4 bedrooms and 4.1 baths. Sale Pending. $499,900. 3769 sq. ft. +370 in finished lower level, 5 bedrooms and 3.1 baths. Sale Pending.